Hackers reportedly stole scripts from the popular HBO series Game of Thrones and expressed to various news organizations that their motive was to get monetary compensation from the media conglomerate in exchange for not publicizing additional information. It is unclear whether HBO paid the hackers. “Some federal law enforcement officials have also voiced concerns that announcing the cases, rather than keeping them under seal, could imperil ongoing investigative work or make it harder to catch suspects who might travel out of Iran, according to the people familiar with the matter who spoke on the condition of anonymity to discuss ongoing investigations,” the Washington Post wrote. The HBO hack, while on a smaller scale, was reminiscent of the 2014 hack of Sony, attributed by some to North Korea in response to The Interview, a film starring Seth Rogen and James Franco that mocked North Korean dictator Kim Jong-un. In 2015, a California-based security researcher discovered that Iranian hackers were behind an internal data breach into the housing files at the University of California, Santa Barbara. 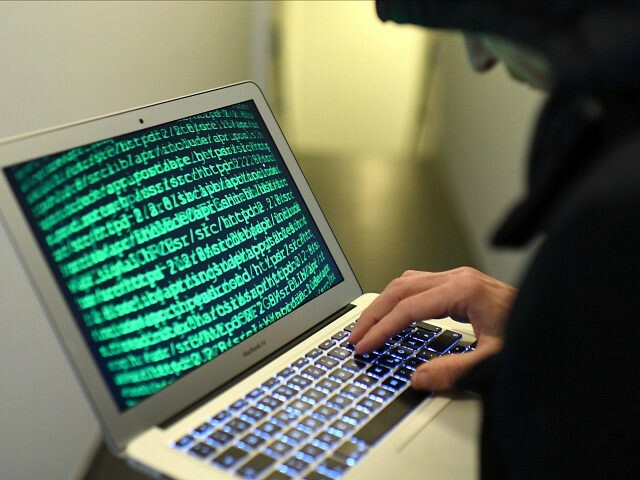 Iranian hackers are reportedly also behind a series of other data breaches, ranging from New York to California. Last month, Breitbart News reported that the Iranian regime was behind an overnight cyber attack that hacked into approximately 9,000 parliamentary e-mails over President Donald Trump’s refusal to certify the Islamic Republic’s compliance with the nuclear deal. The hack had previously been blamed on Russia. A private cybersecurity firm reported in September that the Iranian government has sponsored several hackers to target organizations in the U.S., the Middle East, and Asia.